The Triple Bottom Line Water Solution - Offices Save 20-80% over Bottled Water costs! People, planet, profits – all benefit from point-of-use water systems that guarantee healthy people, a planet free of plastic waste! USPW has been helping offices realize the many benefits of 'point-of-use' water treatment for decades. Let us help you configure the right office cooler system to meet any office or facility needs. Enjoy the Many Benefits of 'Point-of-Use'! Save 20-80% over Bottled Water costs! Unlimited supply, no waiting for delivery! Consistent fresh taste, no plastic taste! Save precious storage space, no clutter! No back strain of lifting heavy bottles! No burning of fossil fuels in delivery! Hook up to coffee & beverage makers! Continuous Water Supply, No Waiting! Convenient ~ Water at Your Fingertips! High Quality Linis™ Water Station™ point-of-use water purification systems deliver pure, delicious, hot and cold drinking water right where you need it. These bottle-less, plumbed-in systems are available as self-contained purification units with installed reverse osmosis or micro filtration systems, or without filtration for quick connection to a centralized water treatment system. For higher volume water needs for larger companies, USPW technicians will work with you to design a centralized water treatment system customized to meet your water quality and quantity needs, feeding multiple coolers on multiple floors throughout the building. Any Combination or Hot, Cold & Room Temp. Are you on municipal water or well water? Are you getting bottled water now? If so, how many dispensers are you renting? 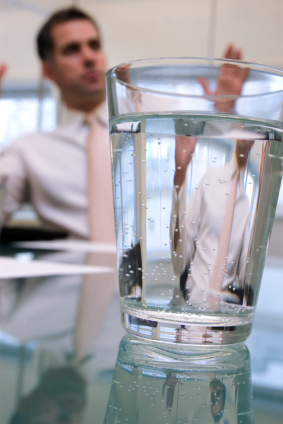 How much water does your office go through in a month? 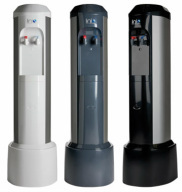 How much money does your organization spend monthly on bottled water, including dispenser rentals? Are you interested in Reverse Osmosis or filtration or both? You may be interested in more specific requests, such as full vs. partial spectrum reduction of contaminants etc. See the Systems section of our website for more information on available options. Based on office layout/accessibility, how many water stations would you need? Do your space requirements call for standing dispensers, countertop dispensers or an under-sink system? What temperature combos would you need? – Hot/Room Temp/Cold or Room Temp/Cold. Would you be interested in Rent, Purchase, and/or Lease options? USPW can provide a savings profile for you, make a determination whether a site survey is necessary, and make a system recommendation. Installation is quoted on review of site, and contingent upon approval at time of install.